Is it raining yet? 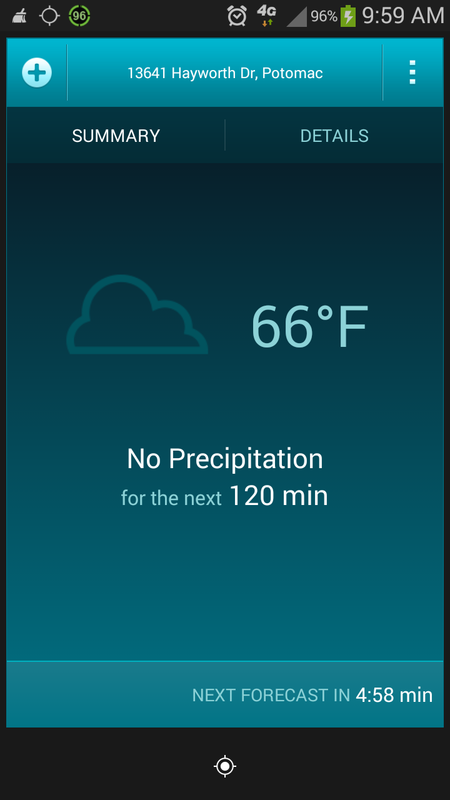 SkyMotion Weather App has the answer | Happenings, Marketing and Technology Advice and Thoughts! I am horrible when it comes to wearing appropriate stuff for the weather. I end up close to work to find that the warm sun has changed to a downpour and I am all wet right down to my suit. The discovery of the app SkyMotion which tells you exactly when it's going to rain almost to the minute and in the place where your phone is. Along with a realtime weather every 5 minues , you can also get details of the next two hours. Skymotion is available for a lot of devices iOS, Android, Windows Phone. Check the Skymotion Weather App product page for downloads.